The wounded warriors abilities ranch was founded in 2015 by wounded warrior Mike Delancey, a Pinellas Park resident who himself was critically injured in a sniper ​attack during military combat in Iraq and has confronted his own life changing injuries. A 10 acre site has been dedicated to build an accessible park for veterans. 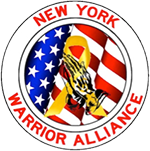 WWAR will be using the funds from your donations and WWAR merchandise to help build the park into a place to honor, strengthen and empower those who have served. Mission America Transition Book This is a pocket-sized book designed to help military veterans from all services prepare for and cope with the challenges of military transition to civil society. Full of real-world, inspirational stories of today’s veterans, it is a practical and honest guide to best practices for finding a path to honor and happiness after service. Mission America Speaker Series One of the most important ways to help Veterans transition is to reach them while they are still in service. Mission American Founder Scott Mann and others travel around the country and share insights and best practices to help our Veterans prepare for the challenges and opportunities of leaving the service. Scott and his team also travel to communities and businesses to talk to civilians about the challenges facing today’s veterans…as well as the high impact performance Veterans can bring to the private and public sector. Mission America Music Series This initiative provides free inspirational music about life as a warrior, transition, overcoming depression, and the strength of the military family. This powerful music is written and performed by a retired special operator sergeant with multiple tours in Afghanistan and Iraq. Stay in Step SCI Rehabilitation Program This initiative demonstrates the power of grass roots actions to support Veteran transition. Mission America was a key player in helping paralyzed Green Beret and his wife Gaby open a world-class, non-profit spinal cord injury rehabilitation center in Tampa, Florida. Donations to Mission America directly support Chief Camargo in helping other wounded Veterans with spinal cord injuries. “High Performance Initiative (HPI)” Helping Veterans capture and tell their stories across the country to promote understanding and knowledge. “Heroes in Waiting” This is a program designed to fill immediate short term life and material needs of veterans who are waiting for employment or placement in the private sector. Game Changers Book Distribution Mission America provides free copies of Scott Mann’s #1 Amazon Best Seller, Game Changers, to warriors and law enforcement.